Most people do not have enough room in their mouths for their wisdom teeth. For these patients, it is best to remove the wisdom teeth before they have a chance to grow in. By extracting the teeth before they erupt, Drs. Armando Gama and Eugene Morris can prevent tooth misalignment, impaction, and other dental health problems. At Oral Surgical Associates, we offer simple and complex wisdom tooth removal. Contact our Missoula practice to schedule an appointment for yourself or your child. Almost everyone has two pairs of wisdom teeth, or “third molars.” These teeth erupt in the late teens or early 20s. However, most patients do not have enough room to accommodate the extra set of molars. Further, the wisdom teeth often grow in at an angle. As a result, when wisdom teeth erupt, they can cause crowding and dental misalignment. In addition, wisdom teeth often become impacted. This occurs when the teeth do not fully erupt from the surrounding tissue. They may remain trapped under the gum or bone, causing discomfort, abscesses, and further misalignment. Impacted teeth also form a haven for oral bacteria, and they can increase your risk for infection, gum disease, and tooth decay. If your tooth is not impacted, Dr. Gama or Dr. Morris can perform a standard extraction. We will gently rock the tooth back and forth to loosen the dental roots. Then we will lift the tooth from the socket. To extract an impacted tooth, we will remove a small amount of tissue. In some cases, we may simply need to make a small incision in your gums. In other cases, we will remove a tiny amount of bone to reach the trapped tooth. We encourage patients to have their wisdom teeth removed in their early to late teens. In fact, if you have your extractions after age 25, you may require a more extensive pre-surgery consultation. Dr. Gama or Dr. Morris will use our three-dimensional CT-scan and panoramic x-rays to look for impacted teeth and other complications. 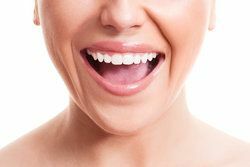 When we remove the tooth before it starts to come in, we can prevent dental misalignment and bite imbalance. With early removal, there is no risk for impaction and impaction-related infection. Your jawbone is softer in your teens and early 20s. This makes surgery and recovery faster and easier. Teens bounce back from surgery more quickly than older adults. Whether you are the parent of a teen, or you have not had your own wisdom teeth removed, we are ready to meet your needs. Learn more about wisdom tooth removal; contact Oral Surgical Associates today.